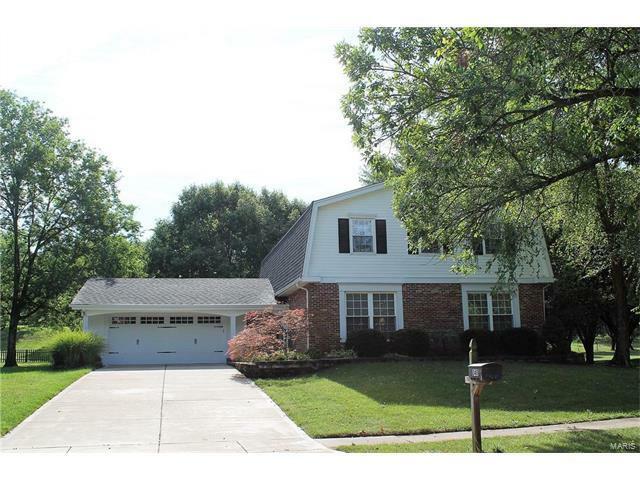 EXCEPTIONAL describes this beautiful 2sty with an amazing yard! Impeccable with a long list of updates-this home screams Pride of Ownership! Inviting curb appeal w/lush landscaping, newer driveway & carriage-style garage doors will find you anxious to see more*Grand 2sty entry w/curved staircase & wood floor flows to LR w/wood floor, crown molding on to the spacious FR w/wood floor, fireplace, bar*Large DR has wood floor, elegant moldings*Remodeled kitchen offers wood floor, custom cabinets, Granite, center island, stainless upgraded appliances, atrium door to large deck & glorious yard*Mn flr laundry with large utility closet*Check out the bedroom sizes-large master suite has walk in & single closet plus remodeled bath offers oversize shower w/Onyx surround, raised vanity w/granite top*BR's 2,3,4 spacious in size & remodeled hall bath w/double bowl vanity & granite top*Lower level has recreation room perfect for play*Desirable location, neighborhood, schools-this can't be beat! Clayton Rd west of Hwy 141, left on Henry Rd right on Royal Village Dr to right on St. OR Manchester Rd west of Hwy 141 right on Henry Rd.